Workers’ compensation cases involve injuries that occur while on the job and or while an individual is on the clock. When you’ve been hurt at work, you may qualify for compensation from your employer based on a number of factors. With the help of The Law Office of Steven M. Willner, PA, you’ll receive the legal service you deserve from a fully qualified workers’ compensation attorney in Hollywood, Florida. 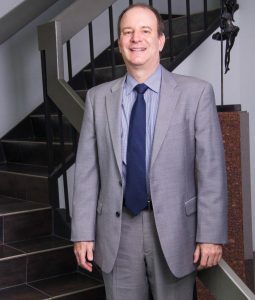 In his more than 23 years of legal experience, Mr. Willner has developed a great deal of knowledge when it comes to handling workers’ compensation cases. He has also been a member of the Florida Bar since 1994, so all of his legal services are backed by a commitment to maintaining the highest standard of professionalism. He is a member of the Workers’ Compensation section of the Florida Bar. 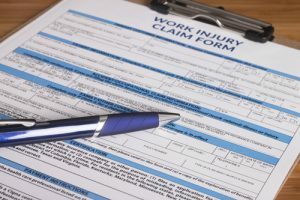 The Florida Supreme Court recently ruled that employees injured on the job should be represented by skilled attorneys in their Workers’ Compensation cases. He understands injured workers’ rights to Disability and Medical Care, Alternative Medical Care, Average Weekly Wages and correct Compensation rates, Permanent Total Disability and Death Benefits. When you’re ready to begin your workers’ compensation claim process, be sure to reach out to Mr. Willner for a free initial consultation to get things started. During this time, he’ll discuss the specific details of your accident with you to determine the most suitable approach for pursuing your claim. Depending on a variety of elements surrounding the accident, you may be entitled to financial recompenses that cover any medical bills, physical therapy, and lost wages that have resulted from your injury. You also may be interested in a a lump sum settlement. Having proper legal representation from an experienced workers’ compensation lawyer is necessary to ensure that you receive the most desirable outcome for your case. Mr. Willner has worked for a broad range of clients who have been victims of a vast number of unique injuries in the workplace, so you can be confident that he has what it takes to represent you. No matter how simple or complex the situation may have been, he’ll be glad to work with you to protect your legal rights at every step of the legal process. Mr. Willner delivers individualized attention that is based on the specific details of your case, so you can trust in him for legal solutions that are tailored to your claim. He utilizes aggressive means of representation to fight for your rights and demand the compensation you deserve from your employer. As a bilingual speaker, he is also capable of communicating in both English and Spanish with all of his clients. That way, you won’t have to worry about dealing with a language barrier when it comes to speaking with the lawyer who represents your case. He also promises that you won’t have to pay any fees until a settlement has been made. Contact Mr. Willner today when you need a workers’ compensation attorney He serves clients in Hollywood, Fort Lauderdale, Palm Beach, Miami, and Boca Raton, Florida.